We’re not sure if our Head Blender, Billy Leighton, has a musical note in his head, but harmony is his main pursuit. 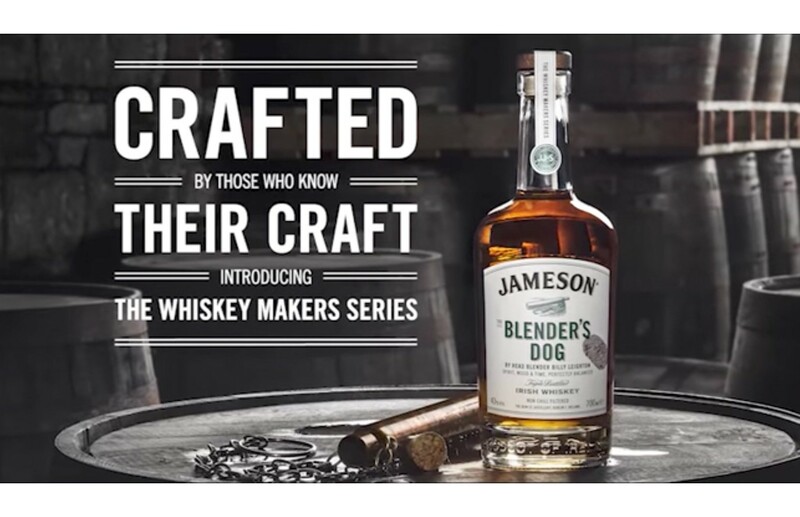 The Blender’s Dog is a whiskey that celebrates his craft, the art of marrying whiskeys. A superbly balanced, complex whiskey, The Blender’s Dog is a perfect balance of spirit, wood, and time; delivering butterscotch sweetness with a prickle of spice and tannins. Making whiskey requires a fair deal of science, but blending is an art. From light citrus to pineapple, mango and kiwi notes, with the addition of figs and dates. A touch of walnut leads into the contribution of the seasoned American barrels and Sherry butts, vanilla and toasted oak. The Whiskey Makers Series is inspired by the worlds of Jameson's Master craftsmen, whose passion and dedication is reflected in a family of beautiful whiskies named after their favorite tools. The tools symbolize the world of craftsmanship and provide a glimpse into the craft itself. Pour Blender's Dog over ice.